What are your priorities when making a choice about which web design company to hire and how can you be sure that you are choosing wisely? Through our web design work over the years here in our own community of Santa Barbara, California and across our big wide country, and even across the big ocean, we’ve learned that there are many factors that will come into play when you are looking for a web services firm to team up with to create or to redesign your website. We’ve spent some time identifying some of the most important factors. We hope these points will be helpful to you no matter where you are located and that they contribute to making your decision easier. There are several aspects and phases that go into creating a website: the discovery phase, planning and then the development phase, choosing a content management system (CMS), defining the site architecture and navigation, creating your online identity, logo design, the website design phase, website programming, e-commerce discovery, planning and development, content development, site population, search engine optimization (SEO), testing and more testing. Know that you will be engaging in a pretty detailed and demanding process unless you are planning to hand all aspects of the project over to your web development team to take care of and that can push up the budget out of range. In some cases, you will need only a portion of the items on that list. Regardless of exactly what services you need, it will be a more positive and smooth experience if you’ve built a good team.We look at our projects as collaboration with our clients. Teamwork is critical in web development whether it be a custom website using a WordPress CMS or a project utilizing a pre-programmed theme. We believe that it all begins with listening. From the very first introductory meeting, you should have the sense that you are being heard. Believe it or not, and even though this isn’t a romance you are embarking upon, chemistry is important. You need to be able to communicate clearly with who you work with just like in any other kind of relationship. You want the team you build for your project to be responsive to your needs and to be listening to what you are telling them. Yes, they will have professional recommendations and you should be able to count on them to steer the project wherever necessary. But if they are throwing ideas at you and trying to sell you before they’ve even learned about your company, organization or what you’re objectives and needs are, it could be worthless guidance. Good listening also involves being able to discern what one isn’t hearing. This skill will be important in order to be able to educate you where needed. It is much more important that the prospective design and development company educate than sell you on features you don’t need. Your needs come first. The last thing you want to do is be an experiment and a training field for your web team. Investigate your prospective company’s longevity. If they’ve been around for a good solid amount of time, say a decade, not only have they gained a mass of experience that they can bring to your project, but most likely they’ve also survived some major downturns in the economy. This is a great testament to their success, their clients and the relationships they build. It also means they’ve learned the intricacies of responsible project management and how to deliver an outstanding web product on time and within budget. Their solidity is also evidence of their honesty, integrity and customer service. This one is simple. Do you like the work they are sampling in their portfolio? Are the web designs relevant to the material and content on the pages? Do they demonstrate a strong understanding and capability in today’s web strategies including programming, SEO and Social Networking? Does the work impress, show versatility and the ability to communicate? Do they get across their clients’ messages clearly? Do you get a sense of the branding and identity of their clients’ through their sites? Are their sites easy to navigate and comfortable to use or are they scattered, confusing and misleading. 5. How Quickly Will You Get A Proposal? Watch out! 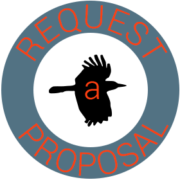 Any company that gives you a website proposal too quickly may not be asking enough questions. You want a web vendor who is responsive and has a reasonable turnaround time. If they give you a quote without all the relevant information, the chances are that it won’t be a responsible quote, or that the cost will not remain fixed or there will be problems down the line if they are underpaid for your project. And on the other side, you don’t want it to be overpriced because they padded the estimate to cover the unknowns. Make sure the company you engage is focused on helping you to build your business and not just interested in making a website. Your website should attract visitors and convert those visitors to customers. Your website has to be searchable and marketable. Your team must understand the strategies and ingredients that will make that happen. Put it all together and you have a very intuitive, common sense set of factors to consider when choosing your web development company. Before making your decision, plan to meet with your prospective vendor to discuss your project at length to get a feel for if you would like to work with them. Naturally, the list we’ve compiled is developed from our own experience and level of commitment to our clients- what we think is important and helps us to stand out among the choices you have for web designers Santa Barbara.